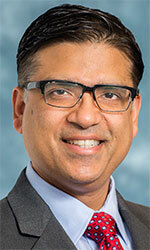 Sangy Vatsa has been named the new chief technology officer for Comerica Bank in the company’s office in Auburn Hills. Vatsa, with more than 25 years of experience in information technology, previously worked at American Express as the chief information officer for global customer service, credit, collection, and payments insurance. Vatsa also worked in other positions at American Express in IT strategy, architecture and innovation, enterprise shared services and delivery, global business travel and corporate payments digital capabilities. Before working at American Express, Vatsa worked at Ford Motor Co. for nearly 15 years. Vatsa, of Troy, earned his bachelor of engineering in electronics and telecommunications from Delhi College of Engineering, a Master in Business Administration from University of Michigan, and a master in computer and information systems from Cleveland State University.